Description: Advances in technology are no longer confined to communications or transportation; they have spilled over into our homes, in appliances, fixtures, and water delivery. 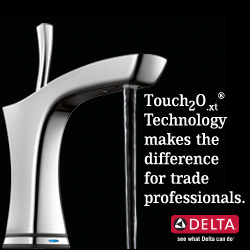 Today's water delivery innovations improve functionality, and are changing the way people interact with their faucets. 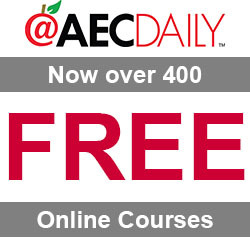 This course addresses the types of water delivery solutions in the kitchen and bathroom, and outlines three design considerations for selecting a water delivery option. With over 15 years in the building products industry, Mary Millman-Ahlbrand focuses on the showroom and design community, promoting Delta and Brizo brands and products. She has worked with all segments of the trade channel to better understand their needs and develop solutions to meet those needs. Mary has been involved in the creation of various Continuing Education Programs during her career with Delta Faucet Company and continues to enhance relationships with Delta Faucet Company and the trade community. IDCEC Approved CEU: 0.1 General - 1 hour program. You need to be logged in to download the course materials for Technology’s Influence on Water Delivery in the Home.